Pull request templates are now a built-in feature, see the documentation for more information. This extension will not be updated and might be unpublished at some point in the future. Please migrate your templates to the new feature. 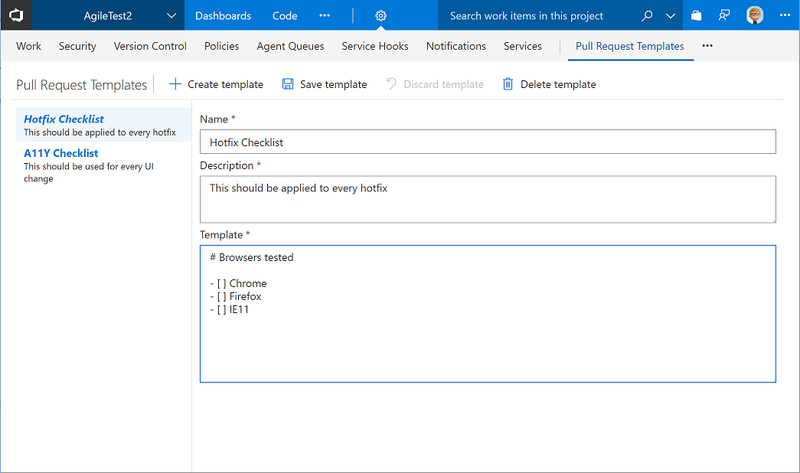 1.0.6 - Re-enable support for Azure DevOps, fix the issue where the template wasn't actually applied (GH#10). 0.2.0 - Templates are now project-scoped. The very first time you visit the admin page after this update, all templates will be migrated into the current project.